This entry was tagged basket, basket course, basket courses, basket makers blogs, basket making, basketmaker, basketmakers, botanic gardens wales, children willow dens. living willow, community willow workshops willow wales, out to learn willow, school willow workshops, willow work, working with willow. Bookmark the permalink. Well done Clare and Mel for getting on the shortlist for the Creative Skills Awards, you certainly deserve it and deserve to go all the way to the top! 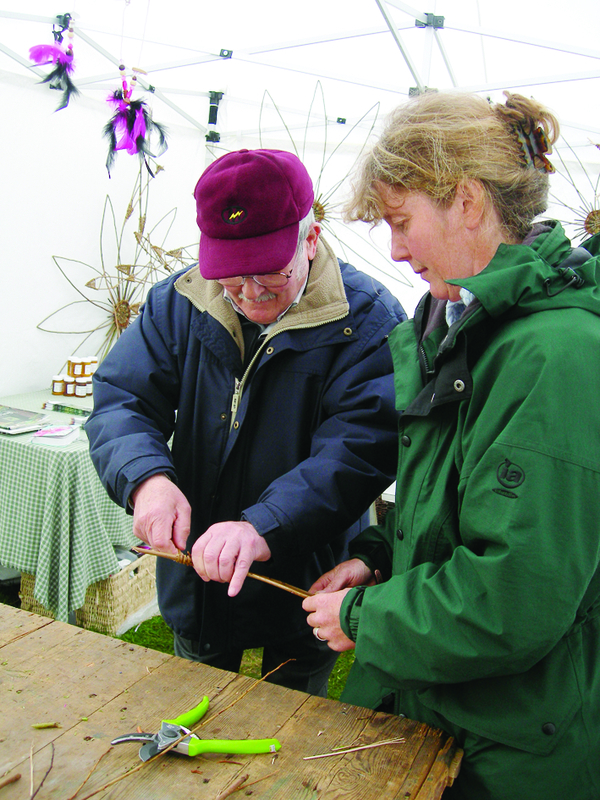 Welsh Basketmakers South Wales group has re-established a dynamic interest in the craft in the region and has introduced many children and adults to basketmaking. Thanks so much Bob, and thanks for the endorsement! How fantastic to go for this award! You really deserve it! I had a WONDERFUL day on the Fitching course (28 March). I learnt such a lot from a WONDERFUL teacher (Clare) who gave her all – and more – to each student. If only I lived in South Wales I would be attending every course! Evidence of the enthusiasm she has fostered was there in the huge variety of wonderful baskets made by Out to Learn Willow’s “regulars”. Thanks so much Claire, that is really lovely of you. I really wish you had met Mel on the Fitching day (she was out slogging on yet another living willow project). We hope you can come on another course soon and experience her wonderful teaching too. I went along to the Cardiff RHS show in 2008 where Mel and Clare were encouraging the ‘audience’ to try to work with willow. i had been recently bereaved and took some encouragement to try my hand at a ‘snail’ . It was really enjoyable and I was of course hooked. 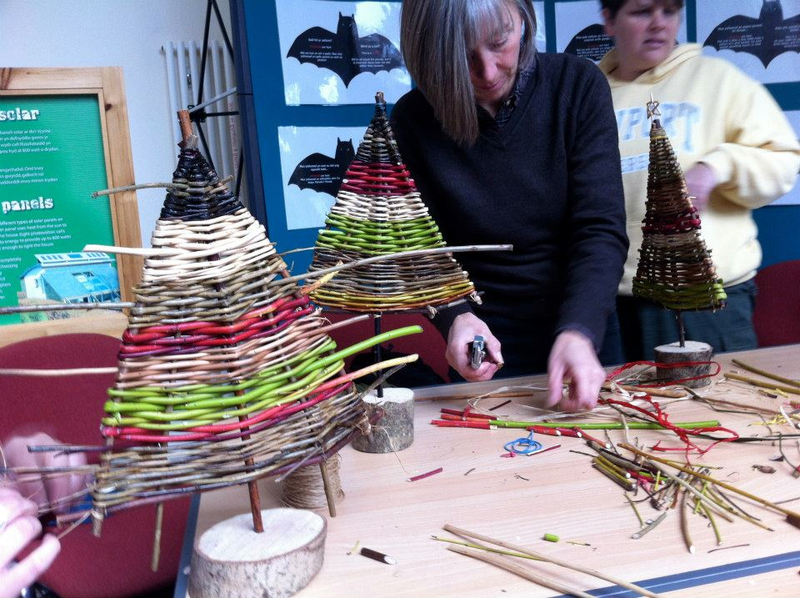 I attended a number of wonderful courses and the following December I made a willow Christmas tree that I treasure. 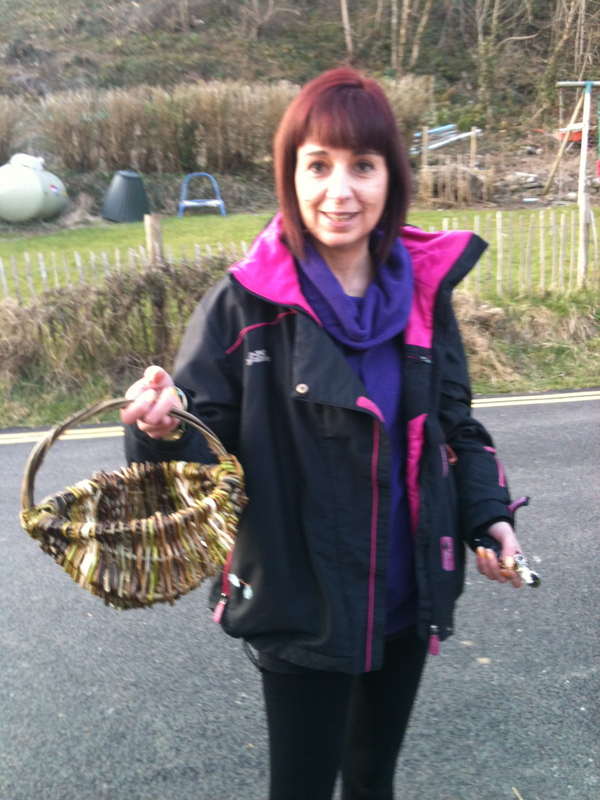 I subsequently progressed to my first basket making course . Each session was very satisfying as not only did we learn new techniques – we came away with a product, that had been made by using the techniques. The group of Welsh Basket makers are friendly and supportive and a pleasure to learn with. The improvement in skill level and confidence in using the various ‘weaves’ was remarkable. Photos of some of my favourite creations and some of the tools we learned how to use – are attached. I had great difficultly hanging on to others as friends and family ‘claimed’ their favourites. Thanks Kathy – it has been fantastic working with you over the years and seeing your skills develop to such a high standard. Looking forward to seeing you again very soon! I’m so pleased that your hard work and dedication is being recognised. As one of your pupils, you’ve turned a non arty, crafty me into a willow weaving addict, from that first garden sculpture, via round baskets, frame baskets, sunflowers & snails, you’ve given me the confidence to try something new. I’ve enjoyed inspirational teaching from 2 inspirational friends. With your encouragement and guidance you’ve given me the skills to make beautiful, useful things with willow. … and long may it continue. I am totally in awe of your achievements. 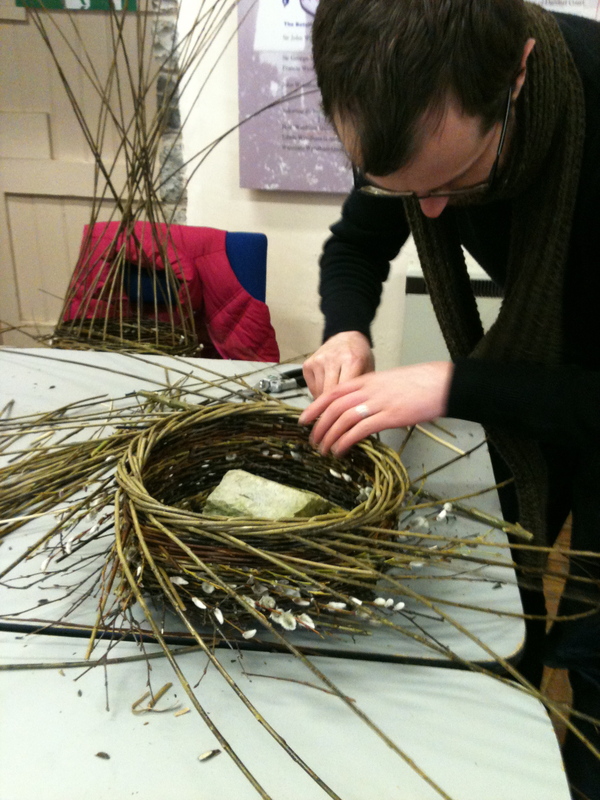 I too have been shortlisted for my willow classes, but in the ‘Encouraging Craft Skills in Informal Settings’ category. 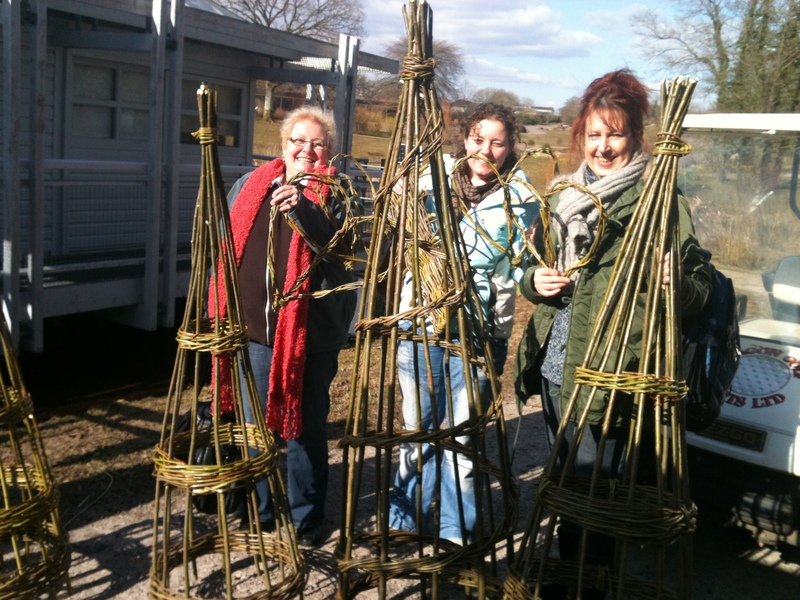 Great that basketmaking and willow weaving is being recognosed at last. Thanks Christine, and congratulations and good luck to you. That is really great news. Look forward to seeing you on the 2nd May! Fantastic news you have been shortlisted – you surely deserve it with the amazing variety of people you work with and the different projects you get involved with, and all the hard work you do to help everyone enjoy making things with willow. Going on one of your courses is like having the perfect holiday: relaxing yet challenging, and all in lovely company, with added cake. Thanks Sarah, what a brilliant way to put it! Our job feels just like that too, we are very, very lucky!